BEAMCO started researching the Williston Basin in 2012 to determine what services and products we could provide to the oil industry. We knew that our previous engineering and design experience, along with our production capabilities, made us a natural fit for the region. Our location, less than 300 miles from the Basin, and our experienced workforce were assets that we could use to help service customers. 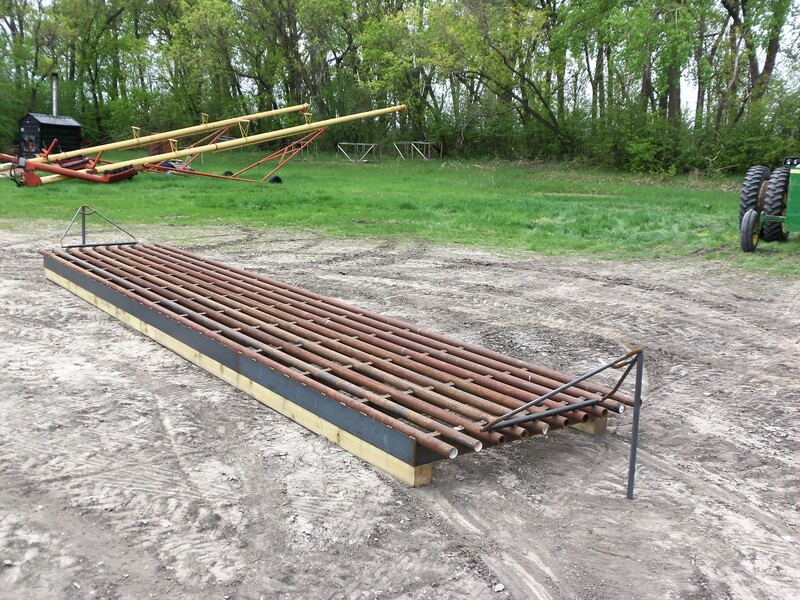 The first project was building cattle guards for use around oil well sites. The cattle guards are made with used drill pipe to keep costs down and to recycle products used in the region. They are made to order, so they can be made in any size needed. The design includes wings that fold down for easy transportation to your location. The wings are also easily adjustable to fit the fence in your location. Treated timbers serve as a foundation for the cattle guards. 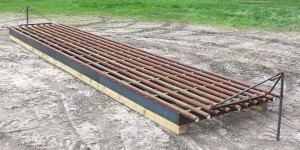 They can be shipped without the timbers if you are planning a concrete or other foundation. BEAMCO started producing BOP Control Units in 2013. Each unit is designed to the specific needs of the customer. They are designed to thrive in the harsh conditions found in Western North Dakota. Many parts are bolted on rather than welded in place to reduce stress fractures. High pressure hoses are used in place of solid pipes for similar reasons. Top quality valves and parts are used to make the units reliable and reduce down time. Dependable Honda engines provide the primary power source. A flexible rock & debris shield protects the valves and pumps while transporting the units down the many gravel roads found in the Bakken. 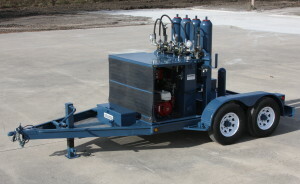 The BOP Control Units can be shipped with or without a BEAMCO built trailer. Our trailers feature dual 6,000 lb. torsion axles and heavy duty construction. We have designed a unique locking system to attach the BOP Control Unit skid to the trailer. Other features, like a heavy duty tool box, make the BOP Control Unit and trailer a self-contained unit ready to use on the well site. 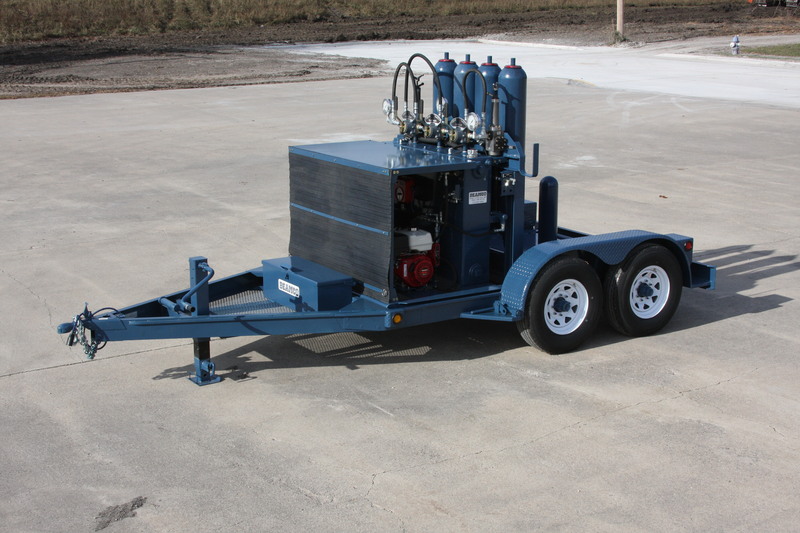 These trailers are built specifically for hauling our BOP Control Units. We have also used our engineering and design talents to consult on several other projects in the region. We can build from your plans, or design a solution. We can build a single unit, or as many as you need. We would be happy to work with you to help solve your business needs.